It's been a little over 6 months since I wrote the hardest blog I've ever had to pen. Six months of wondering. Six months of wishing. Six months of triggers I never imagined I'd deal with. How many pregnancies have you had? And then the follow-up question...How many children do you have? I have two if you must know...two whole children. Only, one isn't in my arms like she should be. One is waiting on her mama and daddy to join her. I should be able to buy the cute Thanksgiving outfit I found. But I can't. The triggers occur without warning. Sometimes I can breathe through them and get by with just a tear or two escaping like I did Saturday as I gazed longingly at the "Mommy's Little Turkey" outfit I should be able to put on my little girl at Thanksgiving. Sometimes they come fast and hard and almost choke the life out of me like the questionnaire a few weeks ago that asked me those dreaded how many pregnancies and how many living children questions. Those hurt. And I sat in my empty classroom sobbing as I answered them. Even through the pain and the emotional roller coast that grief has been, I always knew that God had given us a promise and that promise would come in His timing. On August 19th, my 31st birthday, just over 4 months after we said goodbye to our sweet Zivah, two faint lines appeared on another pregnancy test. Joy should have consumed me, right? Wrong. I was terrified. I wanted to be pregnant. I wanted this. So why was I so consumed with worry and fear? Granted some of that fear was caused by some physical issues that corrected themselves after the first week but I took about five home pregnancy tests and two blood tests to check my hCg levels. 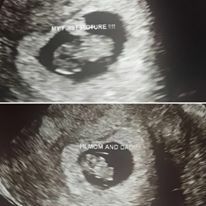 After about a week, I calmed down and the Lord gave me a sweet peace but it wasn't until I saw our little rainbow's heart beating on the sonogram screen at 8 weeks that I truly felt myself breathe again. This pregnancy is so different. I am cherishing every moment because, well...you know. I've been utterly exhausted this go around and am silently hoping that isn't a sign of things to come (insert smiley emoji here). Actually, the truth is, I will take every late night feeding, every inconsolable cry, every dirty diaper with the upmost gratitude because I know what it's like to not have it when you're supposed to. I should be rocking our almost 2 month old right now but instead I'm writing about her and her little sister or brother. I know God has an incredible plan for this child and I can't wait to see how it all unfolds. I'm so grateful for His grace and His peace. It is that peace that has gotten us through. Thank you all for being there for us...for praying for us and continuing to pray for us. This journey has not been easy but I can honestly say now that I am grateful for it because I would not be who I am now if it had not been for the tragedy that occurred in our lives on April 11th. 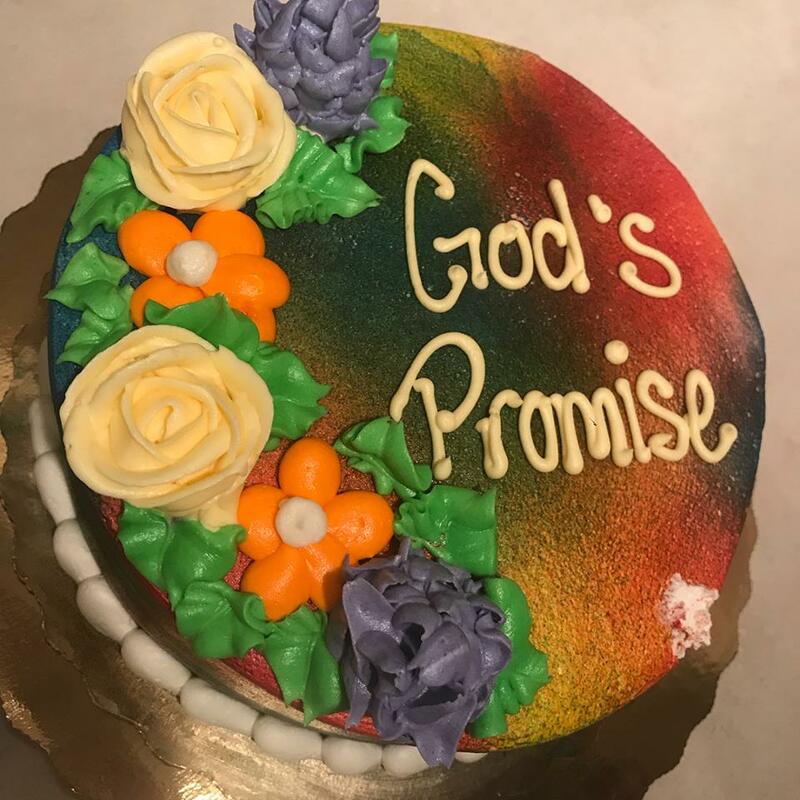 Mom bought a cake to celebrate our rainbow. One of our announcement pics. We announced publicly on Zivah's original due date. 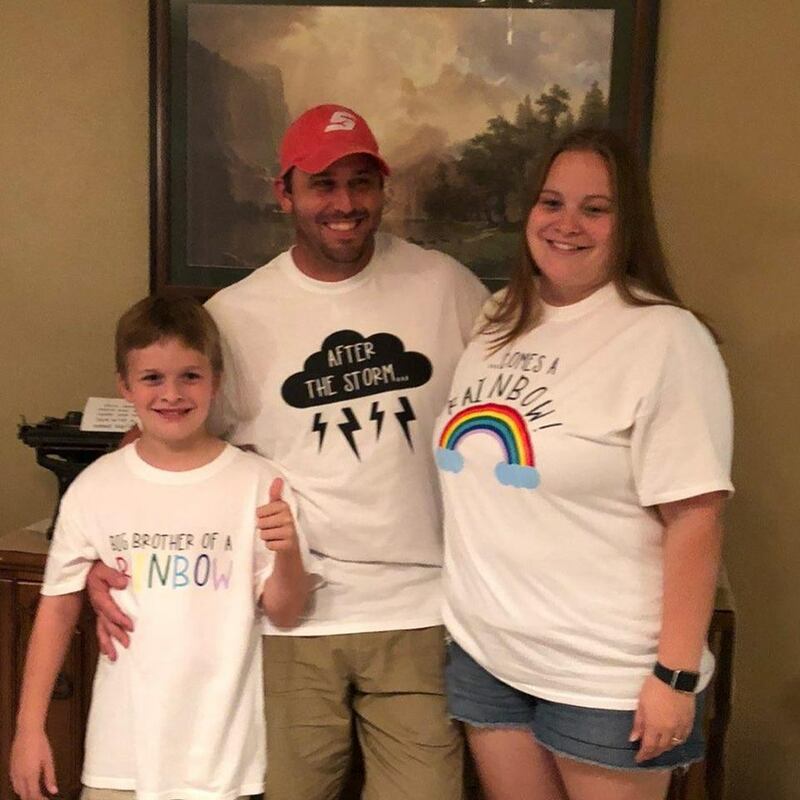 One of my sweet friends made our shirts.